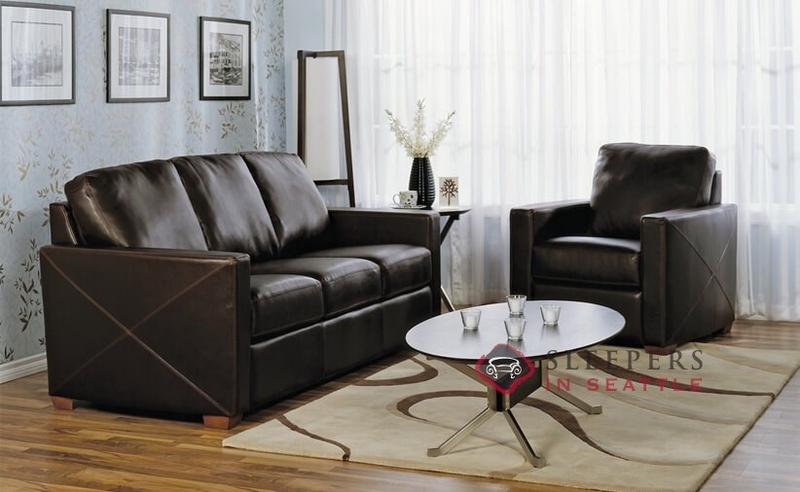 Compact and clean, the Carlten Full Leather Sleeper Sofa by Palliser showcases slim track arms and boxed cushions as a chic addition to any tight space. 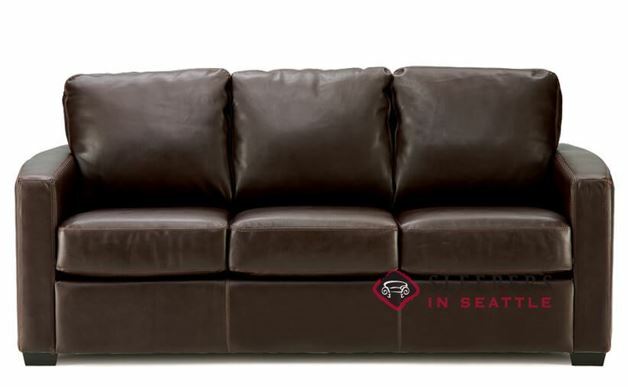 Take the Carlten to our Sleeper Design Center to customize the piece to your liking. What a great find! Me and my husband purchased the Carlten in the Bela Sangria (it's a vibrant red in a really soft velvet). It ended up being so much nicer thanour other furniture that we had to do a little redecorating. Also, the sleeper is by far the most comfortable pull out bed I've ever slept on. Only downside is it took about 5 weeks for them to deliver the couch (which is how long they told us it would take, but still seems kind of long). Either way, it was definitely worth the wait. I’ve had the the Carlten for three weeks now, and so far I have zero complaints. I’m not much of a homemaker, but I love the look. I have three boys, (yrs. 9, 12 and 13) and the couch has been tough enough to survive their daily wrestling matches. When it’s not being used as a battlefield, it’s very comfortable to plop down on and watch a movie. Exactly what I was looking for in terms of comfort and durability. If you want to sleep on it without pulling out the bed, the arms are soft enough, too. Very nice style. The arms are sleek and the right height to rest them on top. Cozier than it looks. Very pleased. The seat cushions of the Carlten are not reversible. What is the width of the arm? Each arm on the Carlten is approximately 5.5" wide. 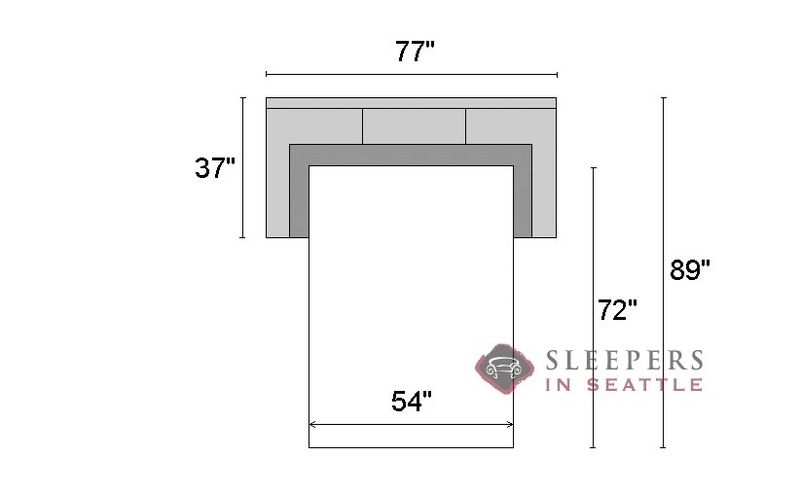 What kind of mattress comes with this sleep sofa, is it a memory foam? This model includes a premium spring mattress, atop an improved mechanism with the bar moved away from the small of your back. 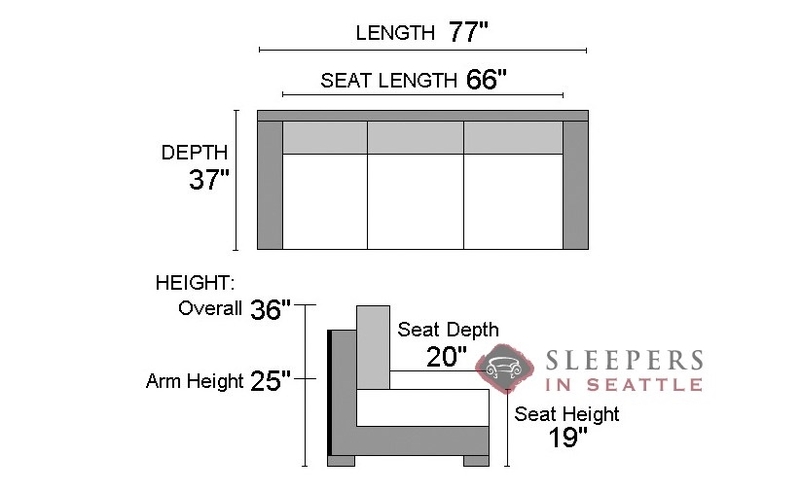 does the sleeper mattress come with the sofa? If not, where do I purchase it? Absolutely, the mattress is included at the sale price posted. So, nothing else to worry about! With out free shipping and delivery, the price quoted will indeed be 100% final, including the mattress and all!